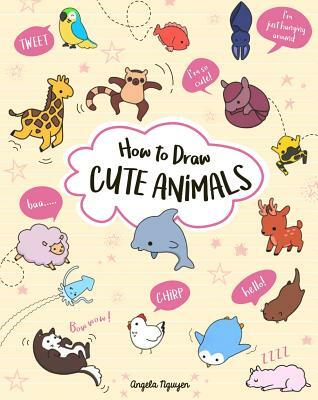 Enter planet CUTE This follow-up to How to Draw Cute Stuff teaches kids how to draw a menagerie of adorable creatures, from cats, dogs, hedgehogs, and hamsters to dolphins, bunnies, swans, and unicorns. An introduction explains the popular Kawaii style of art, step-by-step how-to sequences make the process simple enough for beginners, and interactive pages get budding artists practicing right away. Angela Nguyen is known for her cute art style. She illustrated Brent Campbell's Are Mommy and Daddy Like Me?, founded the comic series Somewhere in the World, and created Sterling's popular book, How to Draw Cute Stuff. She is based in Los Angeles, Austin, and Portland. For more information, see pikarar.deviantart.com.